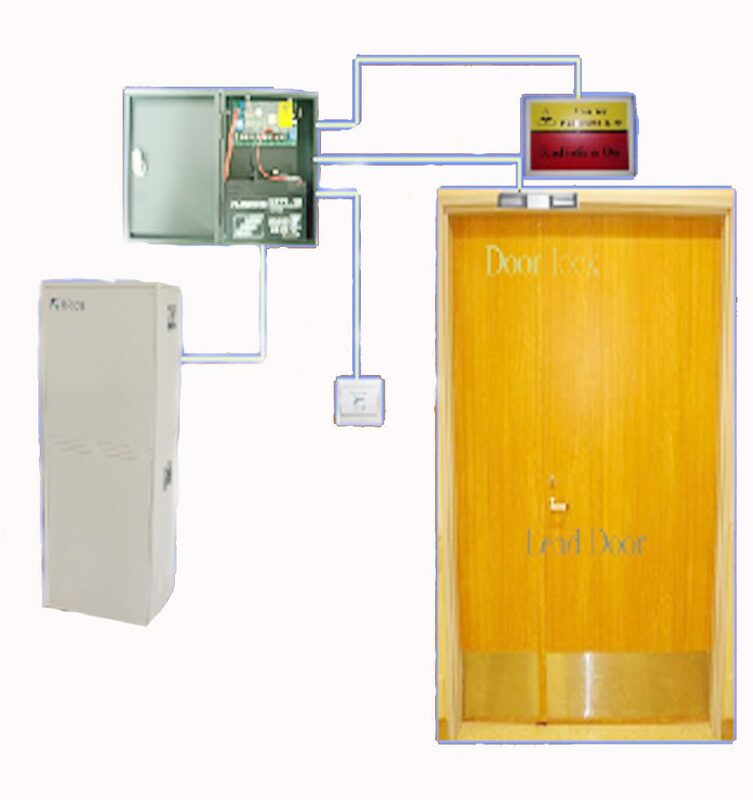 Safety door interface panel is designed for interfacing with imaging equipment. The purpose of this panel is to prevent unwanted radiation exposure for the general public, also to make sure no interruption of scanner while a procedure is carried by locking the door.The working principle of the panel is to prevent the scanner or imaging equipment to release radiation. The panel also disables the door from opening when the scanner is emitting radiation.